Most interestingly, aquamarine perfectly mixed with many options in light green shades. 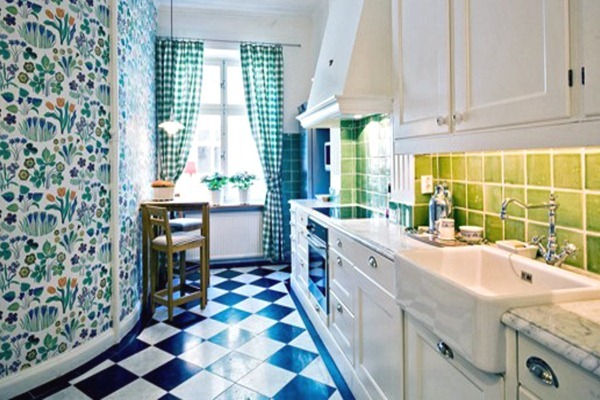 Their combination animates kitchen space, makes it especially cozy. 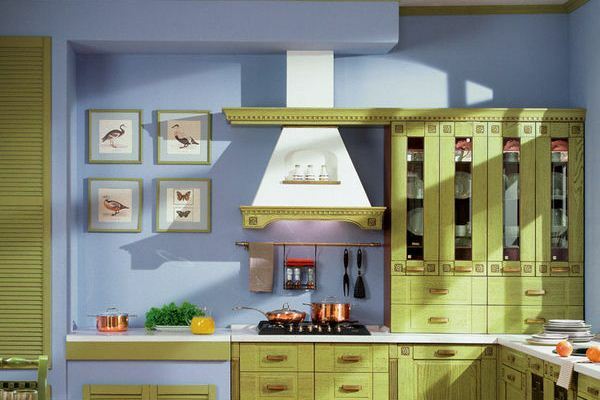 Unexpected color solution in kitchen design – saturated blue and juicy red interspersed with black or brown. Of course, this can be solved most courageous, self-sufficient people, representatives of creative professions.